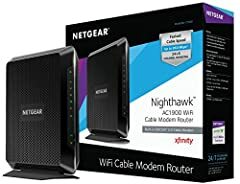 Before you buy the NETGEAR Nighthawk AC1900 WiFi Cable Modem you need to watch this review! The NETGEAR C6900 is CableLabs DOCSIS® 3.0 two-in-one cable modem + WiFi router. 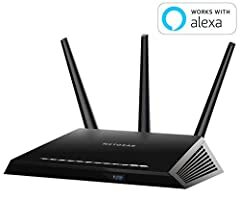 This cable modem router gives you high-speed Internet connection with combined speeds of up to 1.9Gbps‡ with AC19000 WiFi. The powerful 1.6GHz processor boosts performance for streaming and gaming. Industry’s first 24×8 channel bonding give you the fastest download speeds, up to 960Mbps even during peak hours. Save up to $120 a year* by eliminating Internet service provider rental fees. Ideal for XFINITY® from Comcast, Charter Spectrum®, Time Warner Cable, Cox®, Cablevision and more. 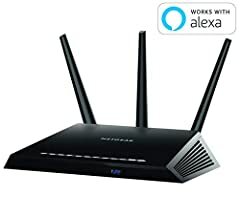 I have the Netgear C7000v2 it’s similar to this one he’s showing and never had a problem.